Our very talented Pat Moriarty is beginning the new season of the Children’s Community Chorus on Tuesday, September 23, 2014 at 4:30 pm. All children in grades 2 - 6 are welcome and there is no charge. An important aspect of the rehearsal hour is vocal training which results in a beautiful sound from the group.In addition to the vocal training, an emphasis on the development of a complete musical education plays an important part in each rehearsal. Rehearsals are held for 1 hour at 4:30 PM on Tuesdays. All this leads up to a Winter Concert on Sunday, December 7, 2014. For information and to sign-up call 203-744-6177. Please let your friends and neighbors know of this great program. 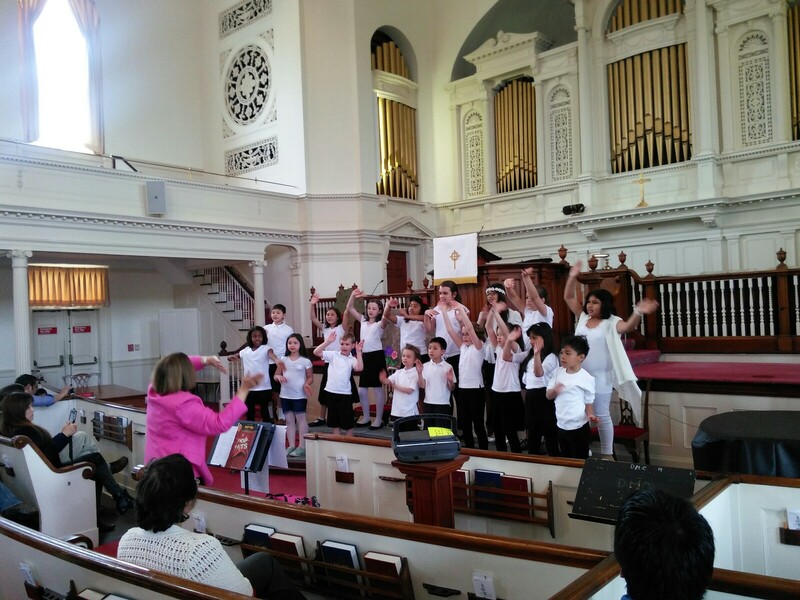 This is not a religious choir - it's for kids that love to sing!